I feel honored to be able to write about a jazz festival from the city that I currently live in. 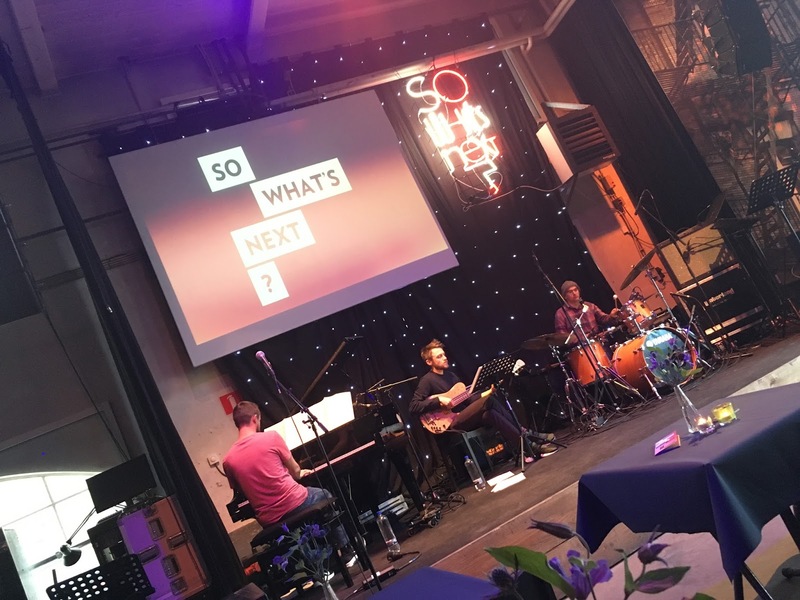 So What's Next is the young festival - 5 years old - of southern Netherlands and having North Sea Jazz organization behind the production, it looks like it is really aiming to be a prominent jazz festival of the country. This year Eindhoven had chosen to allocate first weekend of November. I could only join the Saturday and Sunday part but there was also an opening night on Friday with the name Kovacs Curates. The center of gravity for the festival was on Saturday with so many impressive names such as Jacob Collier, Kamasi Washington, Donny McCaslin, Avishai Cohen (trumpet), Mark Guiliana, Ambrose Akinmusire, Steve Lehman, Shabaka & Ancestor... The festival was basically using Muziekgebouw Eindhoven as the headquarter and all the concerts in Saturday had been performed in 6 stages (2 concert halls, 1 jazz club and 3 stages) in this important music place of Eindhoven. 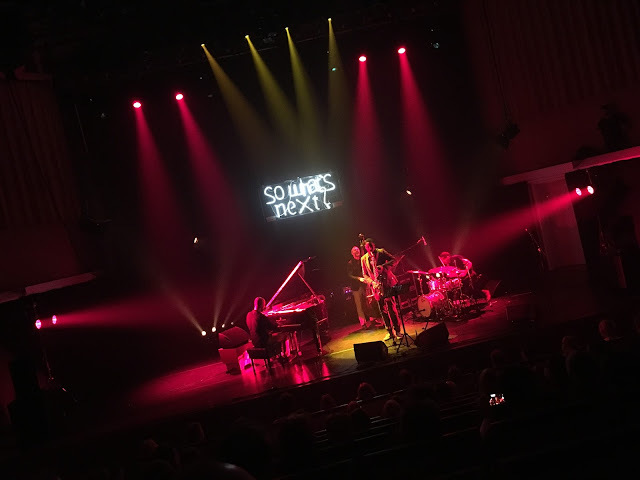 For me, the best performance of the festival was from Mark Guiliana Quartet with Shai Maestro on piano, Chris Morrisey on bass and Shabaka Hutchings on saxophone. Especially the first trio part of this performance was one of the best I have seen recently. I have listened to these musicians with different settings several times earlier but the organic vibes that the trio reached at that day was really something special. 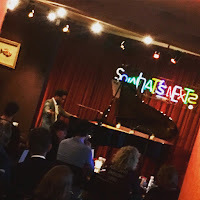 I am totally impressed by Shai Maestro's solo and Mark Guiliana's precise timings and groovy hits on really nice compositions. Shabaka's soft touch - which is not like I got used to from his ancestor project - to the trio was a nice accompaniment to the organic sound of the band. Ambrose Akinmusire Quartet with Justin Brown on drums and Avishai Cohen Quartet were other impressive performances on Saturday night. Sunday was basically a down-town festival where mostly young and new musicians were performing in several stages around the city. Aruán Ortiz Solo performance in the stage Meneer Frits and Motion Complex Trio in Fifth NRE were among the prominent performances. 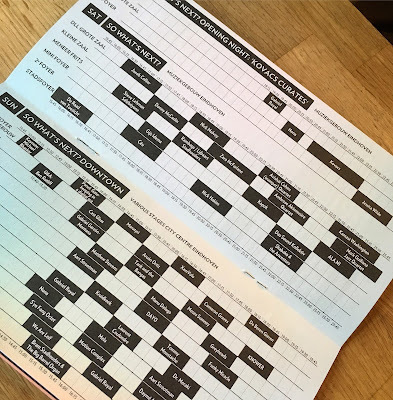 I am really looking forward to seeing the next year's line up of this modest but amazing jazz festival for which I just need to bike some kilometers.